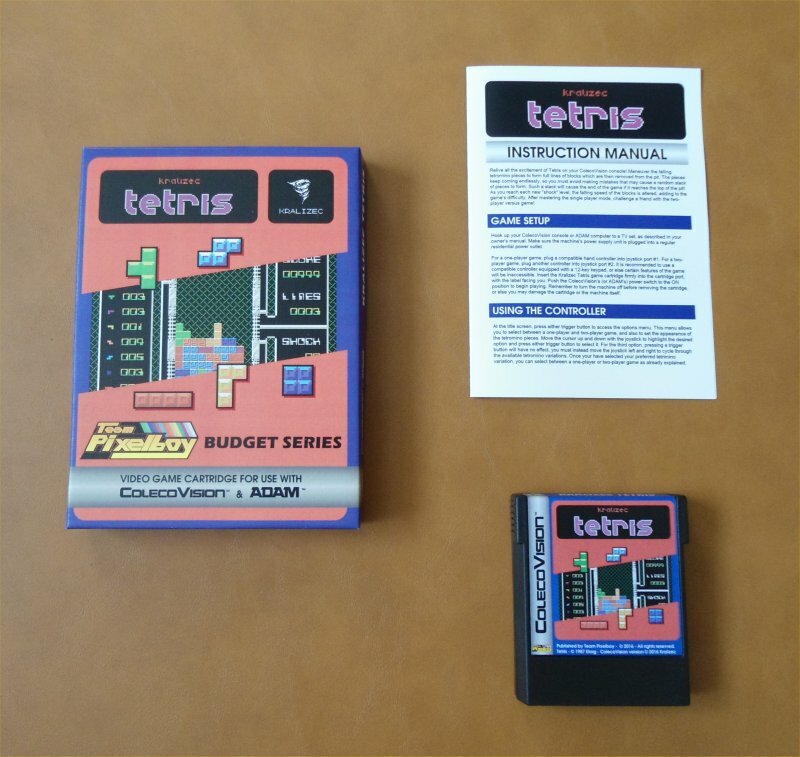 Relive all the excitement of Tetris on your ColecoVision console! 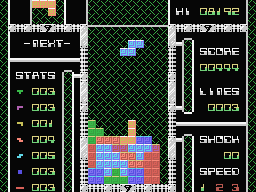 Maneuver the falling tetromino pieces to form full lines of blocks which are then removed from the pit. The pieces keep coming endlessly, so you must avoid making mistakes that may cause a random stack of pieces to form. Such a stack will cause the end of the game if it reaches the top of the pit! 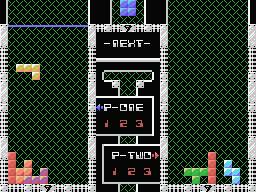 As you reach each new "shock" level, the falling speed of the blocks is altered, adding to the game's difficulty. After mastering the single player mode, challenge a friend with the two-player versus game! 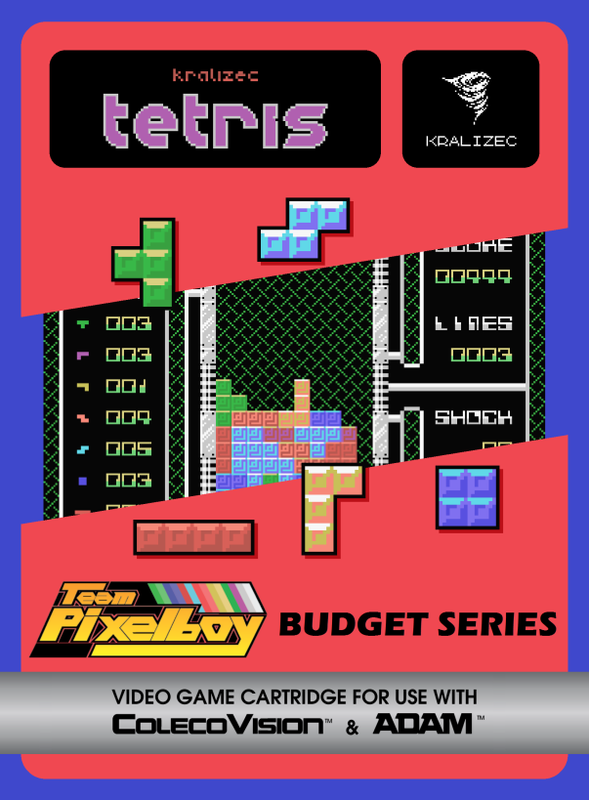 When I told Armando Pérez Abad about my budget game project, he graciously offered to let me publish the ColecoVision port of Kralizec Tetris to help Óscar. Armando had actually lost the source code of the MSX version of his game, so he had to recode the game completely from scratch for the ColecoVision. Here is a YouTube video of the MSX version of Kralizec Tetris. The ColecoVision version looks, sounds and plays the same as what you see below.